Gabby, Danielle and I were invited to a fabulous event in Breckenridge last night. We enjoyed a swank party with fabulous wine, great music and yummy appetizers while schmoozing with other vendors. We touched base with vendors we already know and love and also found a few new fabulous vendors to add to our database. I can’t stress enough how important it is that we always have multiple great vendors who we can confidently recommend to our clients. Networking is not only good for business, it is essential for us to do the best job possible for our clients. 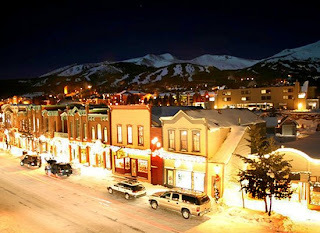 Breckenridge is a fabulous place for weddings. Whether you live in Denver and just want to get up to the mountains or if you are having a destination Colorado wedding. The town is big enough (for a mountain town) that you have many options for fun things to do in both the summer and winter. There are plenty of restaurants and shopping options for all ages. 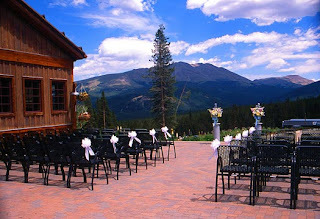 Breck has an increasing number of great wedding venues on the mountain and in the surrounding area.